Grill, smoke and bake like a professional with the Pitmaster Q3 by Myron Mixon. Designed by the winningest man in barbecue, this pellet grill features an auger and fan which holds a consistent temperature so you can cook without being tied to your grill. Simply load the wood pellets, select your desired temperature and let your food cook. Set the temperature between 180 and 500 degrees Fahrenheit and the digital temperature controller will do the rest. The auger is placed in the center of the grill, which allows even heat across the 418 square inch cooking surface with no hot spots. The 15 pound capacity wood pellet hopper allows for 15 hours of uninterrupted cooking time. 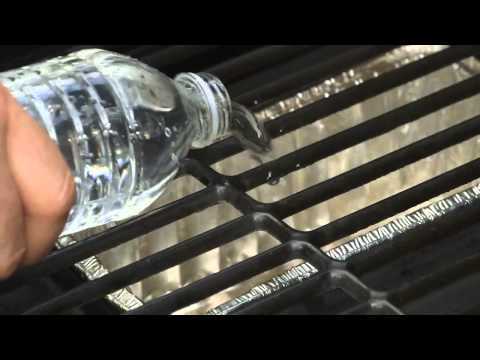 The porcelain-coated cooking grates retain heat and are easy to clean. This 24-inch barrel grill also includes an integrated water pan. Just install a standard aluminum loaf pan (available at most grocery stores), then add your favorite juice or water. The liquid will steam food as it cooks, keeping food moist and tender while infusing additional flavors. This Pitmaster Q3 pellet grill also has an easy ash cleaning system. Use a brush to push the ashes over the ash tray grate at the bottom of the inside of the grill, then pull out the ash tray to empty it. The grill is constructed from heavy-duty powder-coated steel for protection against rust. A convenient side shelf provides workspace while cooking, and the grill cart is equipped with a bottom shelf for more storage and casters for easy mobility. Pitmaster Q3 pellet grills are CSA certified and UL listed for safety. Cooking Grid Dimensions 21 1/2 X 19 1/2"
Pitmaster Q3 offers a one (1) year limited manufacturing warranty on this grill. Myron Mixon Pitmaster Q3 Pellet Grill & Smokers offer a traditional pellet grill design with an aesthetic twist. The Pitmaster Q3 pellet grill is not only offered in the traditionally shaped Barrel series, but also in the uniquely designed Elite series. The Pitmaster Q3 was designed by BBQ champion, Myron Mixon and features a good temperature range, solid construction, and bold color. Myron Mixon Pitmaster Q3 Pellet Grill & Smokers hold up to 15 pounds of pellets and produce a temperature range of 180 degrees to over 500 degrees. The grill features a pellet auger and fan to consistently hold the temperature so that you aren't tied to the grill, which is one of the major benefits of cooking with a pellet grill. The Pitmaster Q3 barrel series offers a smaller cooking space than the Pitmaster Q3 Elite series. The two different series within the Pitmaster Q3 line differ in size and design. The traditionally designed Barrel series offers a cooking space of 418 square inches to 644 square inches, while the uniquely shaped Elite series offers a significantly larger cooking space at 610 square inches to 843 square inches.. The included water pan adds moisture to food as it cooks, and offers versatility if you want to infuse additional flavors, such as beer, wine, or fruit juices. The digital LED temperature control and easy ash cleaning system are great features that maximize the convenience of grilling, smoking, or baking with a pellet grill. The Pitmaster Q3's 1 year limited warranty doesn't quite match up to the other warranties in the pellet grill industry, with the average pellet grill having a 5 year limited warranty. You want a pellet grill with bold style, so you might as well get one that's designed by the ultimate BBQ champion, Myron Mixon. 21 1/2 X 19 1/2" 22 X 19" 22 X 19" 22 X 19 1/2"